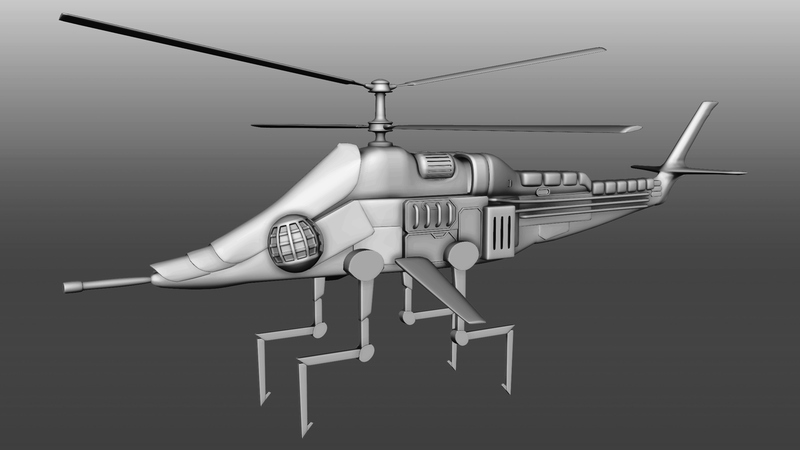 This is the basic helicopter unit for Black Howler Studios new strategy game, No Man's Land. 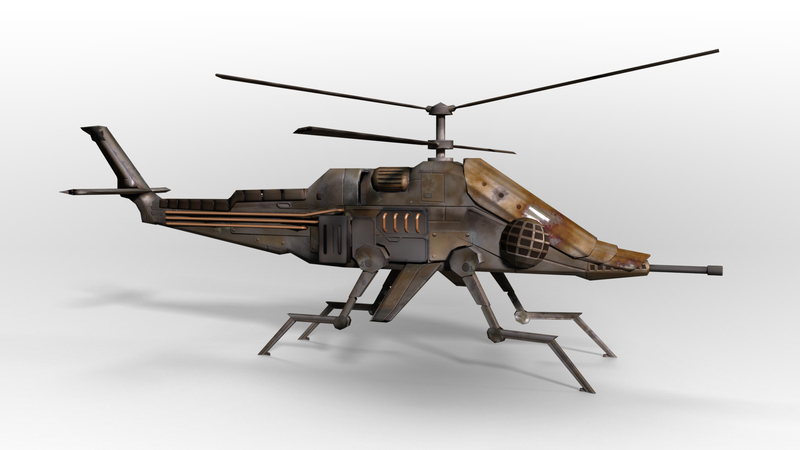 It is a light and swift air unit that offers quick support against enemy units. 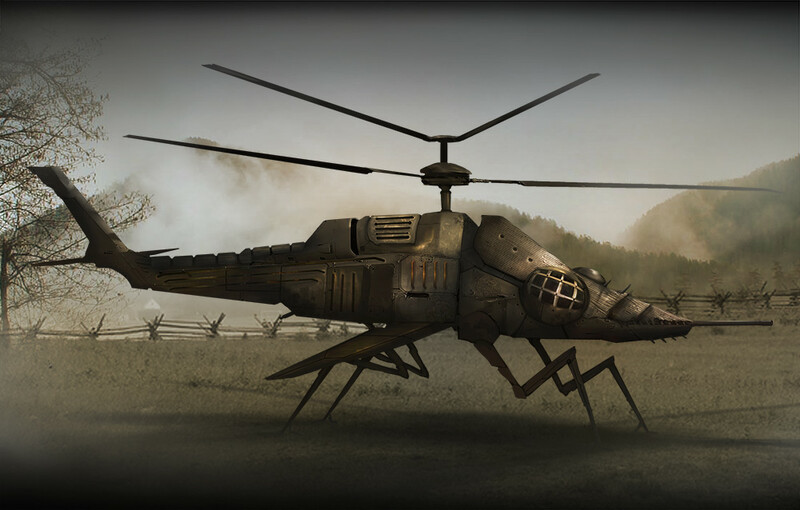 This is the light helicopter, the second basic air unit from Black Howler Studios' game, No Man's Land. My goal with this project was to use more advanced hard surface modeling techniques in Maya and Normal Map painting techniques in Photoshop. None of this model or texture was created in Zbrush. 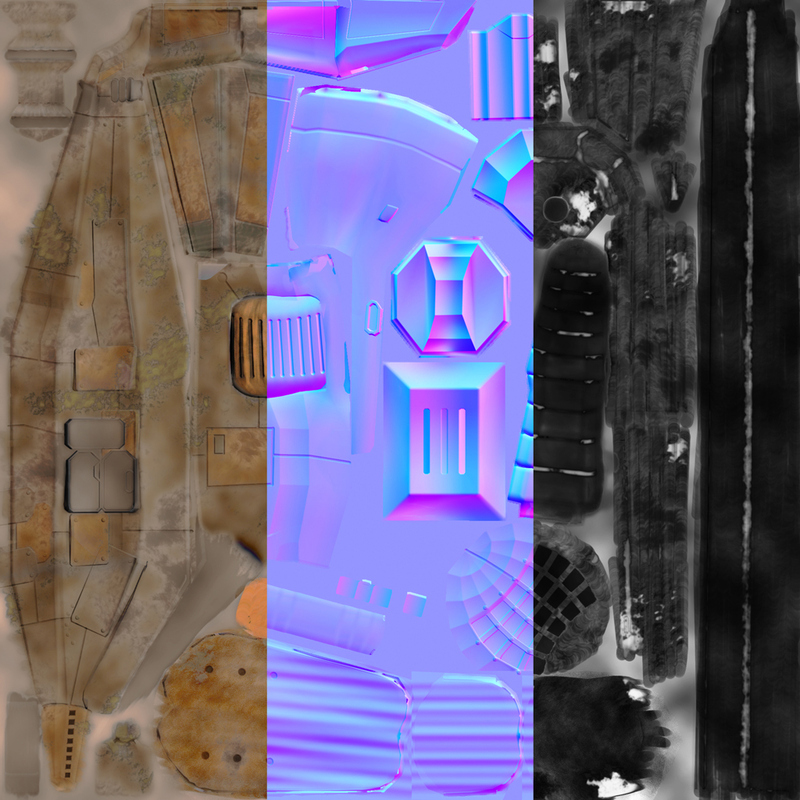 Instead, the basic normals were baked from a box model in Maya, and the details were painted in Photoshop using various lighting and shading techniques on different layers. Modeled from this concept by Vincent Van Hoof.